1 Gbps Speeds from ACT Fibernet is now in Chennai. The gateway of South India gets the gateway to next-generation internet. What is ONE GIGA SPEED? HOW CAN I GET GIGA READY? 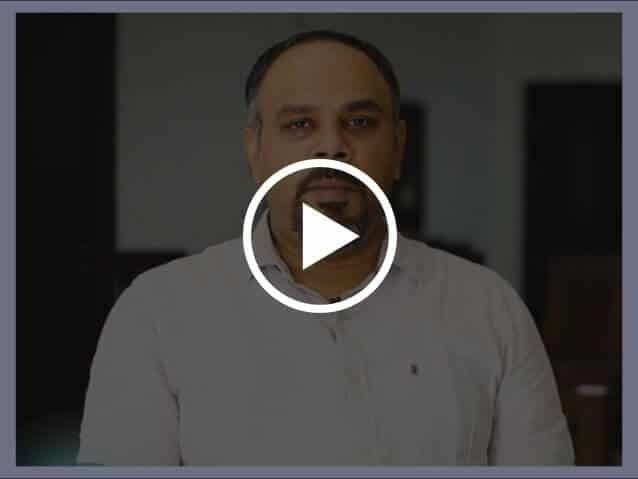 "It was a delight to be one of the first customers of Giga Fibernet"
"All the devices work seamlessly and that is a great convenience"
"Giga technology will definitely help me. It is saving my time"
ARE YOU READY TO GO GIGA? LET US KNOW. The ACT GIGA Fibernet Offers Insane 1Gbps Download Speeds. 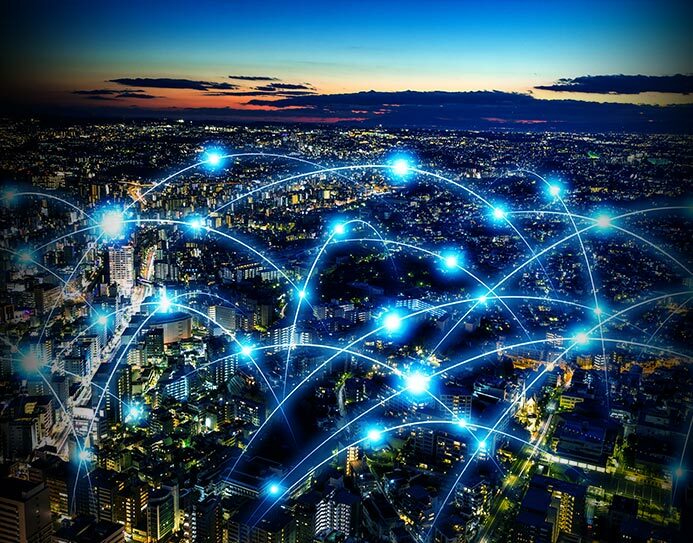 Hyderabad, India's first 1Gbps-enabled city. Hyderabad becomes first city to have 1 GBPS internet speed. 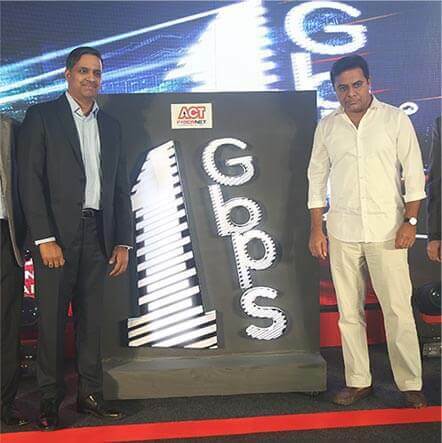 Hyderabad becomes first ‘Giga-enabled’ city in India. 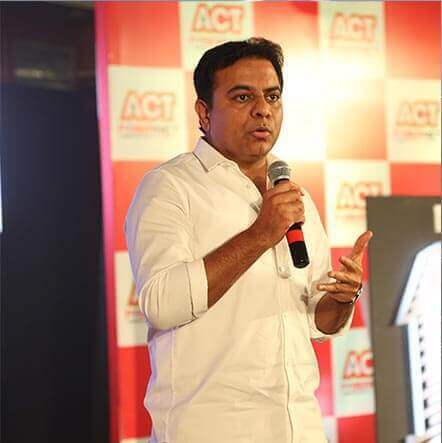 ACT Fibernet announces 1Gbps wired broadband service at Rs 5,999 in Hyderabad. ACT Fibernet brings incredible Giga broadband speeds to Bengaluru. 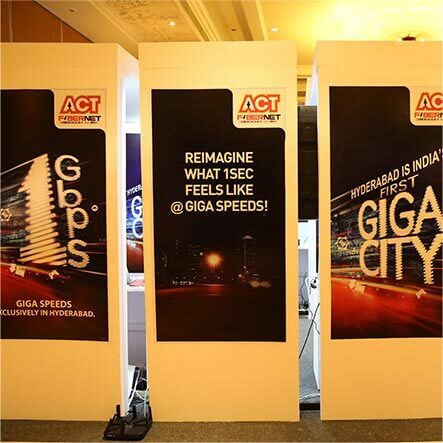 ACT Fibernet launches Giga speed plans in Chennai. 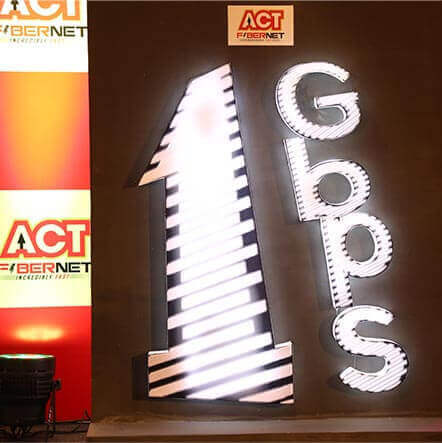 ACT Fibernet Launches 1Gbps Wired Internet Service in Chennai For Rs. 2,999 Per Month. 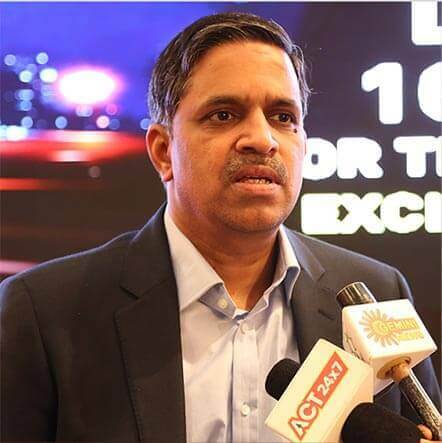 ACT Fibernet launches Gigabit Internet in Chennai with new rates. 1 Gigabit = 1000 Megabits. With ACT Fibernet, you can now get up to 1 Gbps or Gigabit speeds per second. 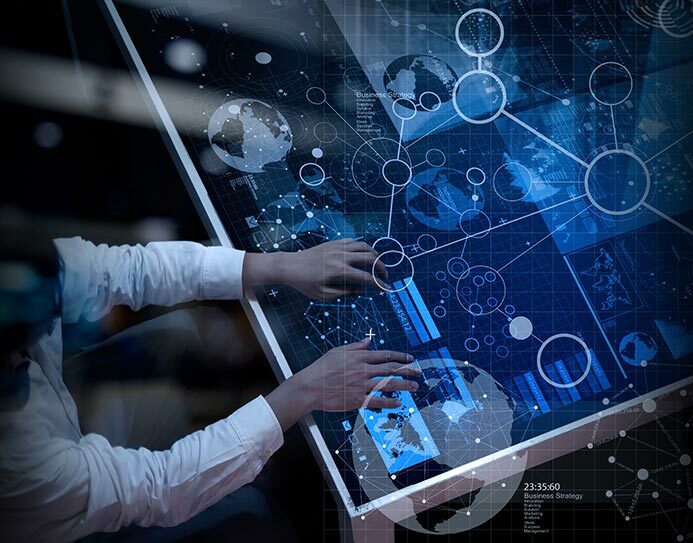 What this means is that every device at home gets to be connected to high speed internet, without any compromise on the experience. More friends can come over, more online TV can be watched, and lots more streaming, all at the same time at lightning speed, with optical fibre technology. 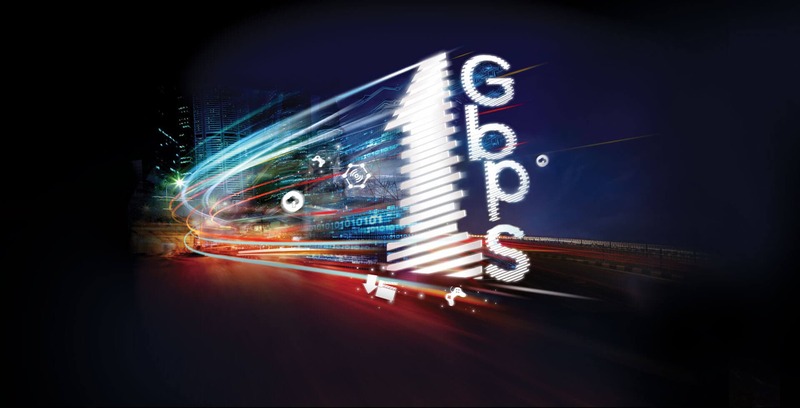 1 Gbps internet speeds will change the way you experience the internet and your world today. All you have to do is think of the possibilities. 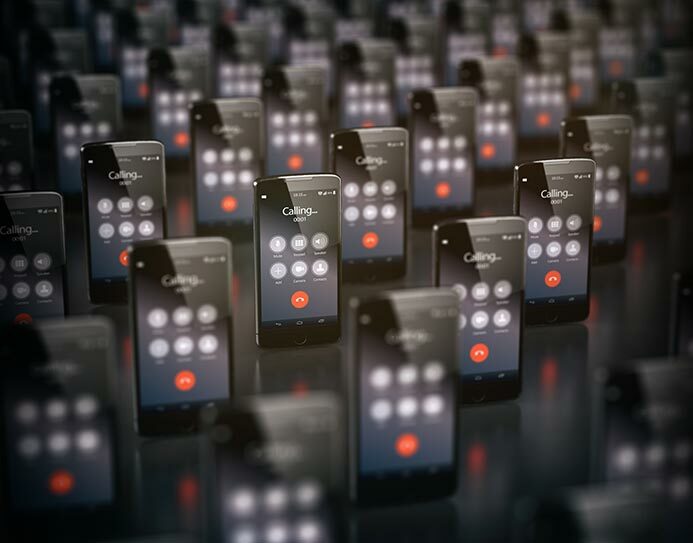 Gigabit internet takes real time communication to a whole new level. Here, you can live stream without a glitch, or access the cloud seamlessly. Online games get played the way they were really meant to be, in a 1 Gbps world. 1 Gbps lets us think of a world where your data lives on the cloud the moment you have it on your device. A world where losing data is a thing of the past and maybe even the external hard drives stacking up in your drawer. 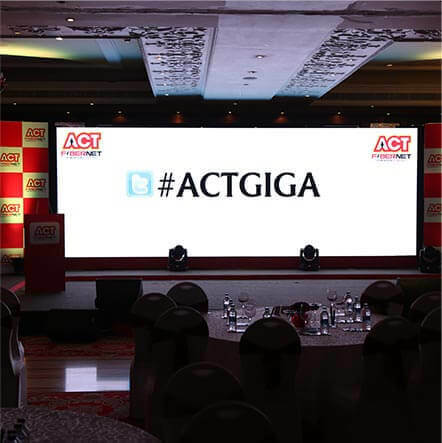 Chennai is now Giga-powered by ACT Fibernet after Hyderabad and Bengaluru. So if you are in Chennai, Bengaluru or Hyderabad, there are a few things you’ll need to get your devices future ready for gigabit broadband. 1 Gbps speeds work best with an Intel Core i7 processor 2.5Ghz, and an 8GB RAM, with a 64-bit OS and 1 Gbps LAN/Ethernet port. residence/work place. 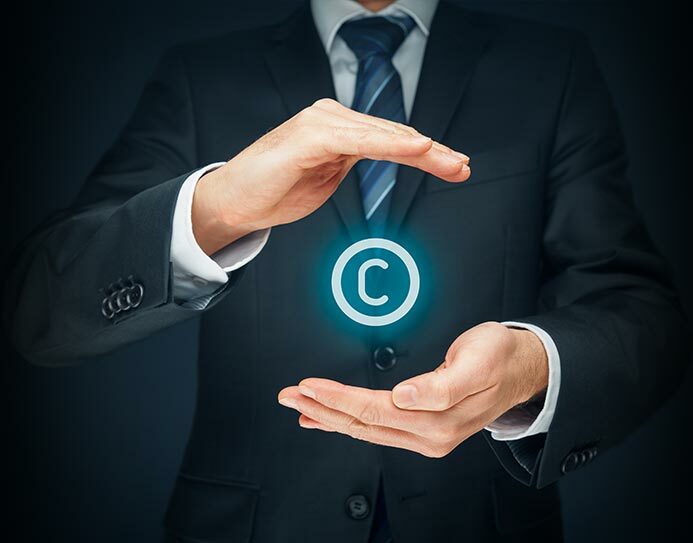 Our sales executive will contact you within 24 hours with an update on the possibility and estimated time for providing the connection. Fill out the Enquiry form to receive a call back.